In case you missed it, Friday was International Women’s Day. There was no chance I was going to forget because the first comments in my office in the morning came along the lines of ‘When’s International Men’s Day?’ I don’t mind this light-hearted teasing at all but it does make me wonder if every feminist had a penny for all the times they’d heard this comment on 8 March just how rich we’d be! It was incredibly refreshing therefore to be spending Friday night with a group of like-minded friends listening to two unbelievably talented and courageous women. On Friday I went with the trustees and a volunteer of YACI to watch the Grammy award-winning Beninese singer Angelique Kidjo. She was joined by Mali-born Fatoumata Diawara at the Royal Festival Hall. Many of their songs were in their native languages so I couldn’t understand the words. But everyone in the audience knew what they were singing for; peace in Africa, equality, education, freedom from violence for women and girls. These women are activists as well as artists, and although their causes are deeply serious and the realities of them often depressing, their music was energetic, joyful and positive. They had the whole of the Royal Festival Hall on its feet, dancing and singing for most of the performance. Angelique Kidjo even managed to get those from the first few rows of the auditorium onto the stage with her, despite the protestations of a large security guard, who then comically tried to manage the frenetic dance-off between Angelique and members of the crowd. I couldn’t help be reminded of another performance by African women, which I saw on my last visit to Benin. When we first arrived at the new office of YACI in Porto Novo, all of the mothers of the children we support came out dancing and singing. They were all wearing their best clothes and shaking tambourines to the rhythm of the song that they’d written to thank us for supporting the education of their children. I was overwhelmed by their joy and energy; the whole scene brought tears to my eyes. Just the day before I’d visited some of them in their homes where they’d looked exhausted, beaten almost, by the challenges life consistently threw at them. The transformation was almost like magic. These women are unlikely to ever sing on an international stage like Kidjo or Diawara, but in their own way they’re activists too. They may live on little more than a dollar a day, but they’ve had the courage to put the education of their children first, instead of sending them out to work in the streets. 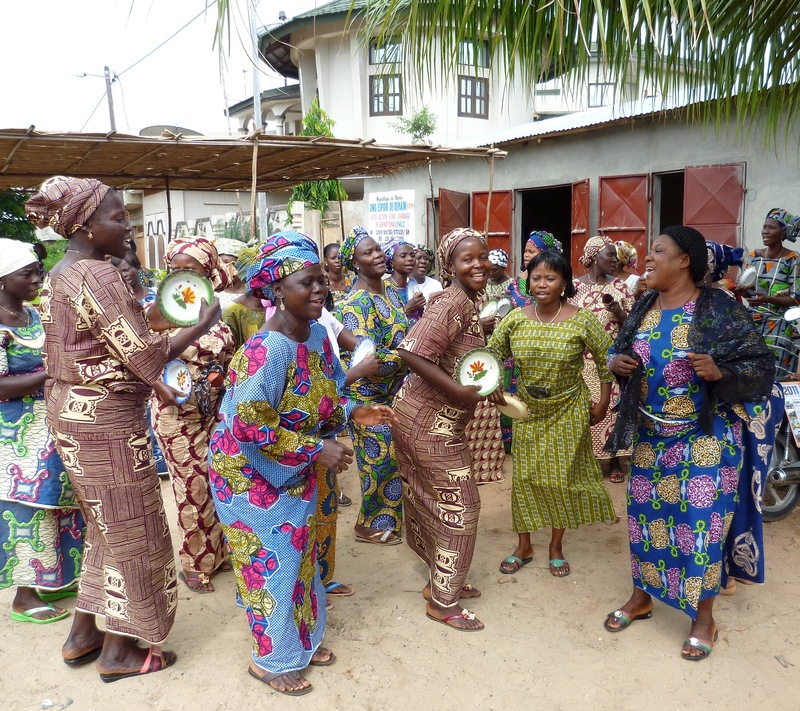 I wish I could tell them that the songs of two other African women, one from Benin herself, carried their message to another continent and brought over 2,000 people to their feet, in support of their cause.